More and more entrepreneurial visionaries are predicting that voice enabled devices are the next big thing. 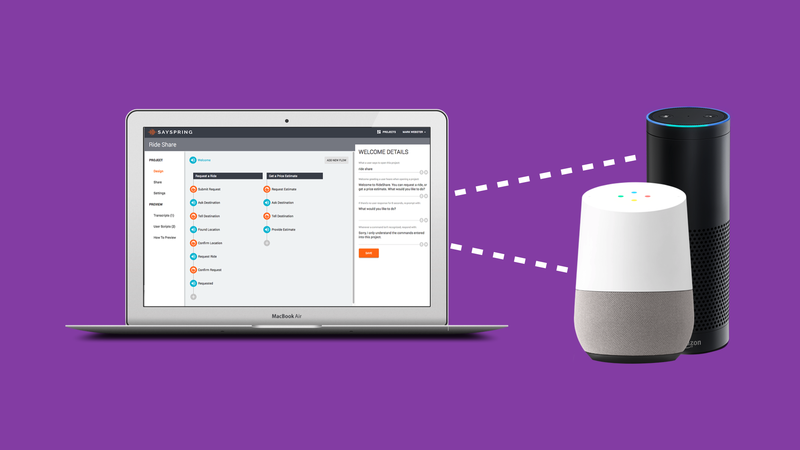 With Alexa, Siri, and Google Home taking off, the opportunities for creating voice-enabled apps are limitless, and Sayspring gives you the tools to build them. With the Sayspring software, you can create interactive voice apps with no knowledge of coding and place your application in one of the fastest growing markets in tech. Whether you run an agency, a company, or want to take on a project as an individual, Sayspring can help you build the future of technology fueled with voice without any complex technical needs. AlleyWatch spoke with CEO Mark Webster about the startup that recently graduated from Entrepreneurs Roundtable Accelerator and chatted about the company’s newest round of funding. We raised a Seed round of $1.5M. The round was led by Compound (formerly Metamorphic Ventures), with participation from strategic angels including Scott Belsky, Alan Chung, and Peter Stern. We also recently finished the ERA accelerator here in NYC, who contributed to the business as part of the program but also participated in the seed round. Sayspring is collaborative design software for voice applications, starting with Amazon Alexa and Google Home. Our platform allows designers to create voice-enabled interfaces and talk to interactive prototypes on any Amazon Alexa or Google Home device, with no coding or deploying required. Users can share their Sayspring project with anyone, and receive a transcript each time someone speaks to it, allowing for rapid design iteration prior to investing the time and resources into development. I have worked in Product and Design for almost twenty years. Great product experiences are created by having a thoughtful design and prototyping process. When I started building voice applications for Amazon Alexa, it became clear to me that the process and tools we have for web and mobile were needed for voice. Sayspring is the first voice-first platform built specifically for designers. We remove all the technical barriers to working with platforms like Amazon Alexa and Google Home to empower the design community to be involved in the process of creation for voice, with no coding or deploying required, in a way that’s impossible without Sayspring. We’re targeting teams of all sizes who are going to be building voice interfaces in the coming years. With voice predicted to be the primary interface for more than 50% of all digital interactions by 2020, it’s hard to wrap your arms around how big that market will grow to be. We currently offer a free plan for our platform, and will be introducing paid plans that enable team collaboration soon. What does the future of voice technology hold? 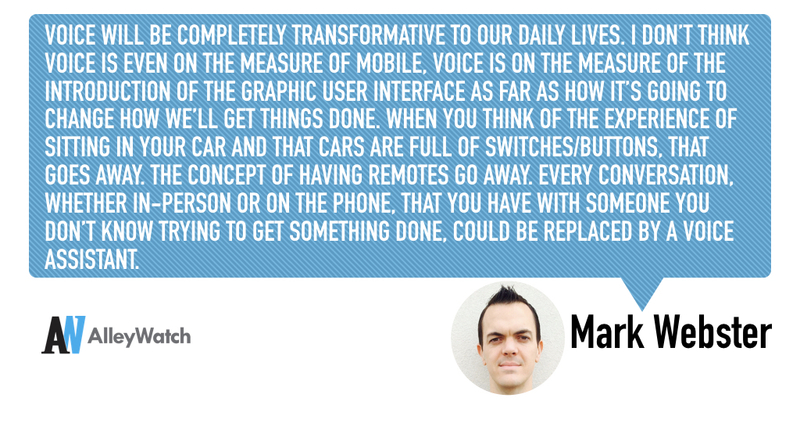 Voice will be completely transformative to our daily lives. I don’t think voice is even on the measure of mobile, voice is on the measure of the introduction of the graphic user interface as far as how it’s going to change how we’ll get things done. When you think of the experience of sitting in your car and that cars are full of switches/buttons, that goes away. The concept of having remotes go away. Every conversation, whether in-person or on the phone, that you have with someone you don’t know trying to get something done, could be replaced by a voice assistant. We were lucky enough to meet our amazing lead investors at Compound, who shared our vision for the future of voice, relatively early on in the process. They were extremely helpful, as was the ERA team. ERA and their LP’s were excited about what we’re working on, and helped quite a bit with the funding process. Our biggest challenge was that we are an early business, in what is an early market. A lot of investors are taking a ‘wait and see’ approach to voice. There is little doubt it will be big, but there is still uncertainly about how the market shakes out. I met several investors who consider voice to be a part of their thesis, but have yet to make an investment in the category. Team and market. I founded a startup before this called SideTour, which was acquired by Groupon. Our CTO, Scott Werner, was our second engineer at that startup, so we have a long history of working together. 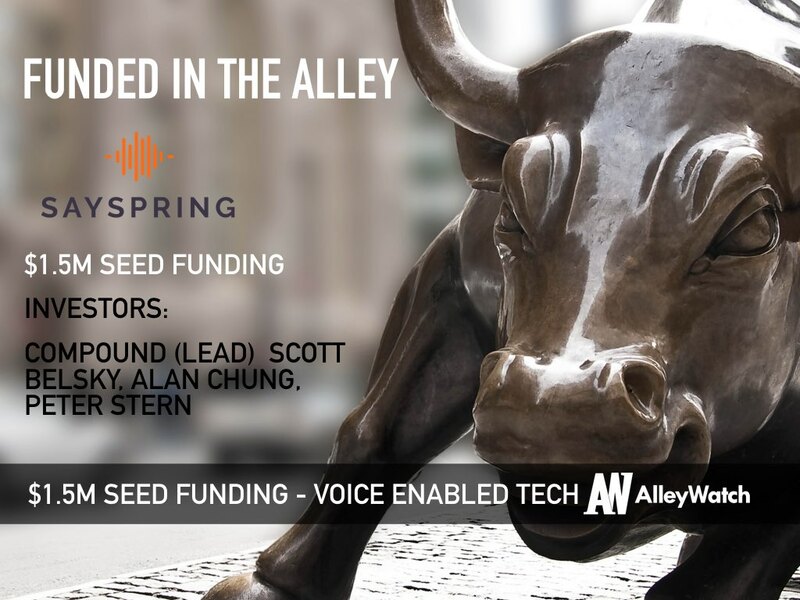 On the opportunity side, voice is set to be a massive shift in digital interaction, and being a “picks and shovels” business like Sayspring is a great place to be this early on. We plan to launch paid plans for teams, and integration with additional voice platforms, like Cortana and Siri. Build something worth investing in. I worked on the first version of our product for about 8 months and launched publicly all before we started fundraising. Showing that early traction is helpful when trying to raise money. But more importantly, once you take investor capital, there is a massive responsibility on your shoulders. Make sure you’ve proven the idea to yourself, and seen some actual promise, before you try and get investors onboard. Sayspring will continue to focus on how we make the voice design process easy for teams to make a part of their workflow. Voice won’t reach its full potential until designers become part of the conversation, and we’re working hard to make that happen. Marcus Samuelsson’s Red Rooster is my second home. The restaurant has become an important fixture in the Harlem community, where I live. Sitting at the bar on a Saturday night, when the entire neighborhood comes out, old and young alike, dressed to impress, is pure New York magic.